Centre Est Aéronautique DR.315 Petit Prince N° 411, F-BRTO. 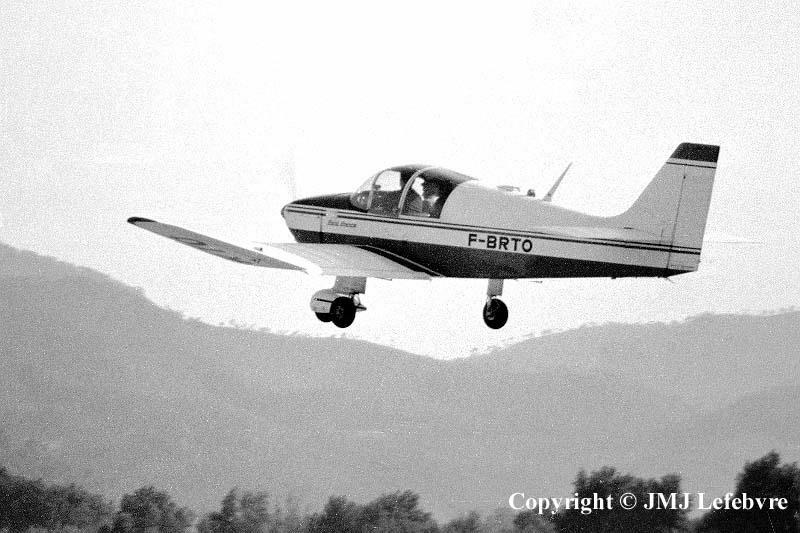 This aircraft just after take-off is a Centre Est Aéronautique DR.315 Petit Prince. CEA was what had been renamed, circa 1969, Avions Pierre Robin. The picture gives a curious look to the machine which seems have its left undercarriage leg faired and not the right...This aircraft had C/N 411.